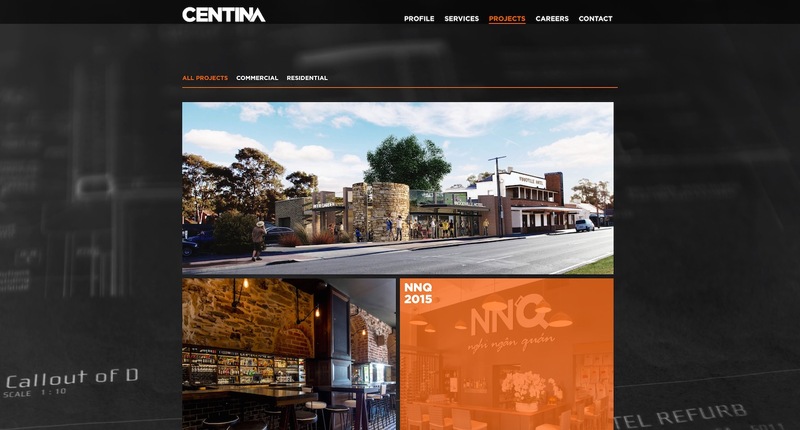 Centina is an Adelaide based property development company servicing the South Australian market. 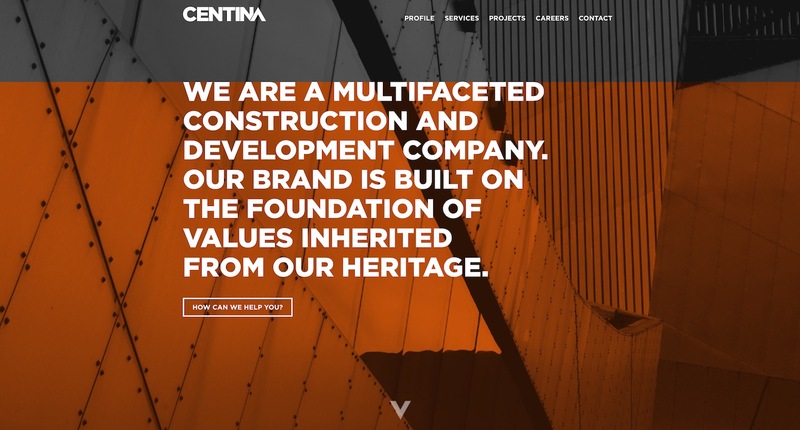 Centina engaged a third-party designer to create their new site concepts, and then involved Scott Reynolds to complete the development work and bring these designs to life. The site had to be modern and unique, and showcase the brand’s clean and precise approach to project management. This involved using large-scale imagery to convey the high quality work Centina does, and the requirement was to have a one-page site layout. 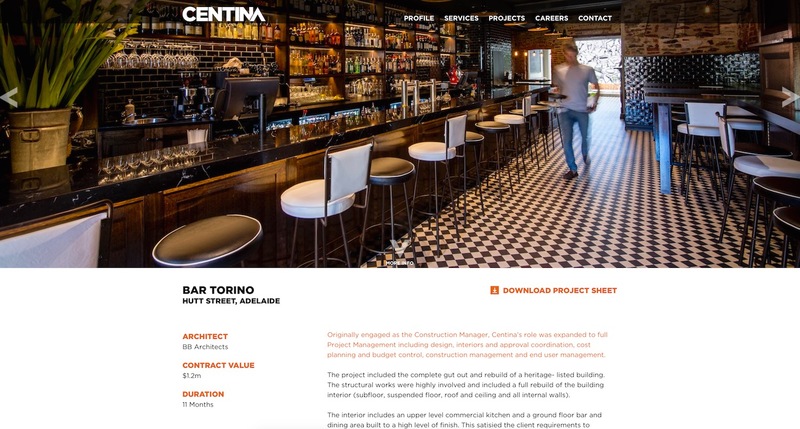 Scott Reynolds used WordPress as a back-end to enable Centina to manage their site independently in the future, and created a custom admin interface to allow them to manage their highly specialised content in an easy manner. The site utilises the latest in CSS3 features, and certain HTML5 methods to enable colour overlays to be displayed over imagery dynamically. The site is fully responsive and quickly adjusts to any device that is used to view the site. Because of the advanced animation and modern elements used the site wasn’t made to work in all old browsers. A decision was made to prioritise functionality over compatibility, but all modern browsers were supported with graceful fallbacks for any older devices used to view the site. The Centina website needed to be built using a Content Management System (CMS), and WordPress was chosen here as the best suited system. The one-page design needed careful planning to ensure that easy administration was possible, and through the development of custom administration screens and options, Scott Reynolds has enabled Centina to manage this content and layout without having to call on a web developer each time. Each content section features a large image as a background, with parallax scrolling both for desktop and mobile clients, and content layout and formatting can be customised within the given Centina branding style. 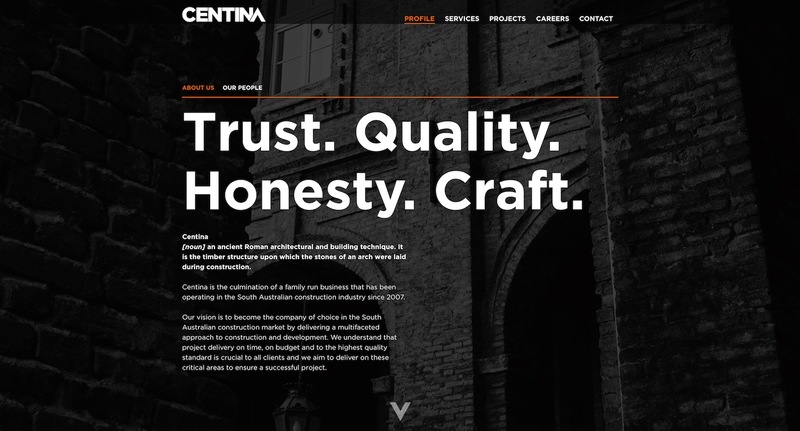 Using the WordPress platform allows Centina to manage their company’s online presence: including adding new content and modifying existing content, adding additional projects and project information (including new project categories), updating and adding photos to each section (and creating new sections from scratch), and also monitoring overall performance of the Centina site. There is no need for Centina to ever call a web developer when they just need to update or modify the site – something that can allow them to be the responsive company they strive for, and save ongoing costs as an important outcome.